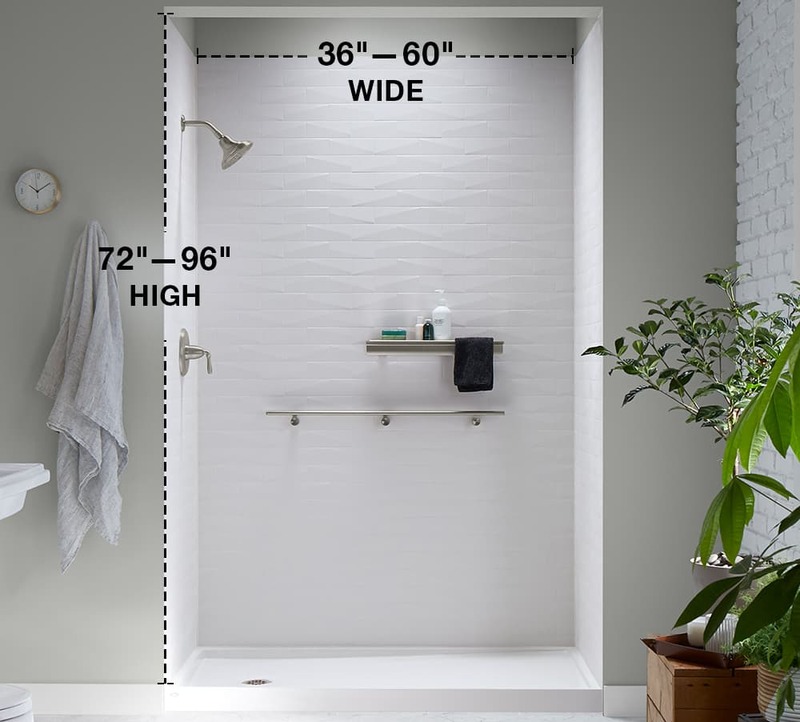 Learn more about the dimensions and details of each component to assemble your perfect shower space. W 36" x H 96"
W 48" x H 96"
W 60" x H 72"
W 60" x H 96"
L 60" x W 36" x H 96"
L 60" x W 36" x H 72"
L 48" x W 32"
L 60" x W 30"
L 60" x W 32"
L 60" x W 42"
L 60" x W 34"
L 48" x W 42"
L 48" x W 34"
L 42" x W 42"
L 42" x W 34"
L 36" x W 42"
L 36" x W 36"
L 36" x W 34"
Includes faceplate with handle, shower arm with flange and showerhead. Features Katalyst® air-induction spray, delivering a powerful, voluptuous spray that clings to the body with larger, fuller water drops. 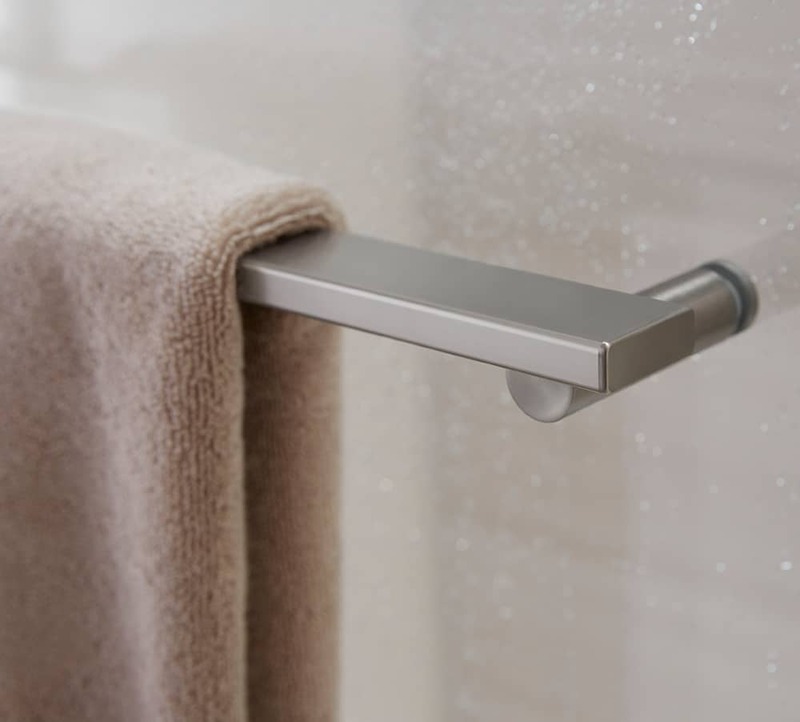 Single lever handle controls both on/off activation and temperature setting. Features MasterClean™ sprayface for easy cleaning. 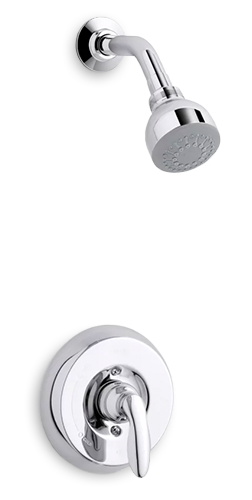 L 6-3/8", H 6-7/16", W 6-7/16"
L 6-5/16", H 6-1/2", W 6-1/2"
Includes face plate with handle, shower arm with flange and showerhead. 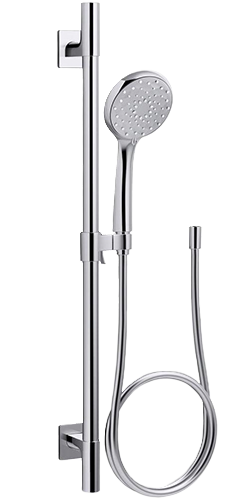 L 5-5/8", H 7", W 7"
Includes Awaken showerhead and handshower with a HydroRail-S shower column and 60" ribbon hose. Three distinct sprays: wide coverage, intense drenching and targeted spray. Simple thumb tab allows for a smooth transition between sprays. 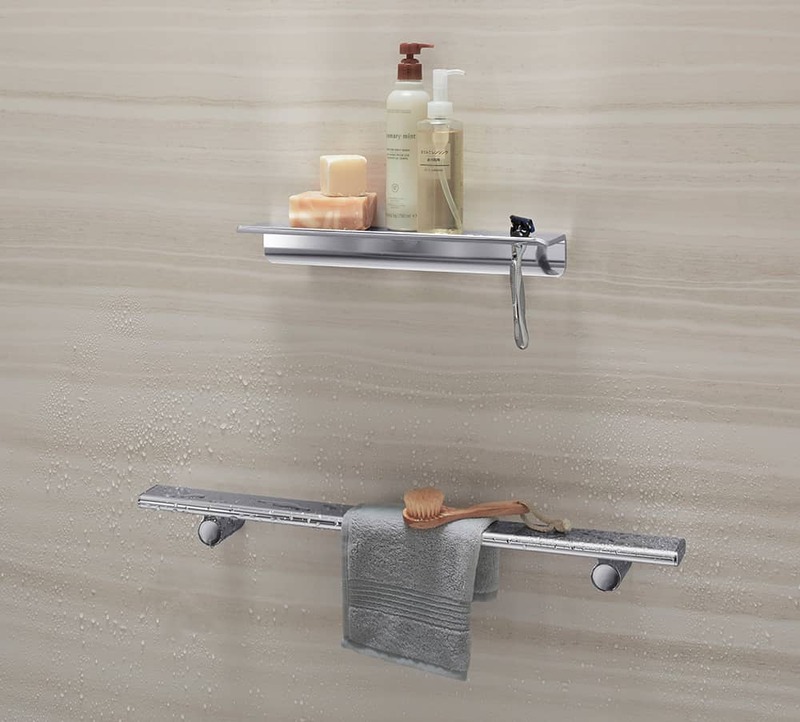 Slidebar bracket allows you to adjust height and angle of handshower. 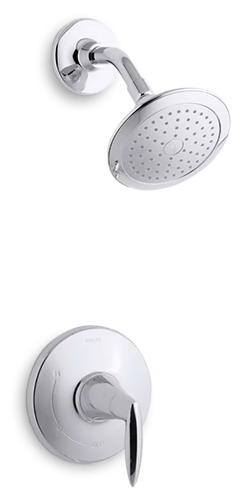 Diverter at column base makes for easy toggling between handshower and showerhead. 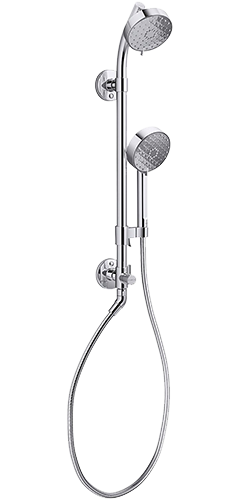 L 6-1/4", H 25-3/8", W 3-5/16"
Includes Awaken® B110 multifunction handshower, 24" slidebar and 60" smooth hose. Meets ADA requirement for nonpositive shutoff. Thumb tab allows for a smooth transition between sprays. L 3-1/8", H 29-5/8", W 2-15/16"
21-7/8" x 17-3/8" x 13-1/8"
L 3/16", H 95-5/16", W 10-7/8"
L 3/16", H 95-5/16", W 16-13/16"
Includes four movable shelves, one integral hook, one cup, one rubber basket and integral foot ledge. 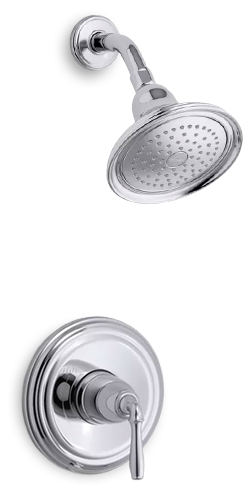 Reversible top track can be installed with either the concave or flat side facing out. 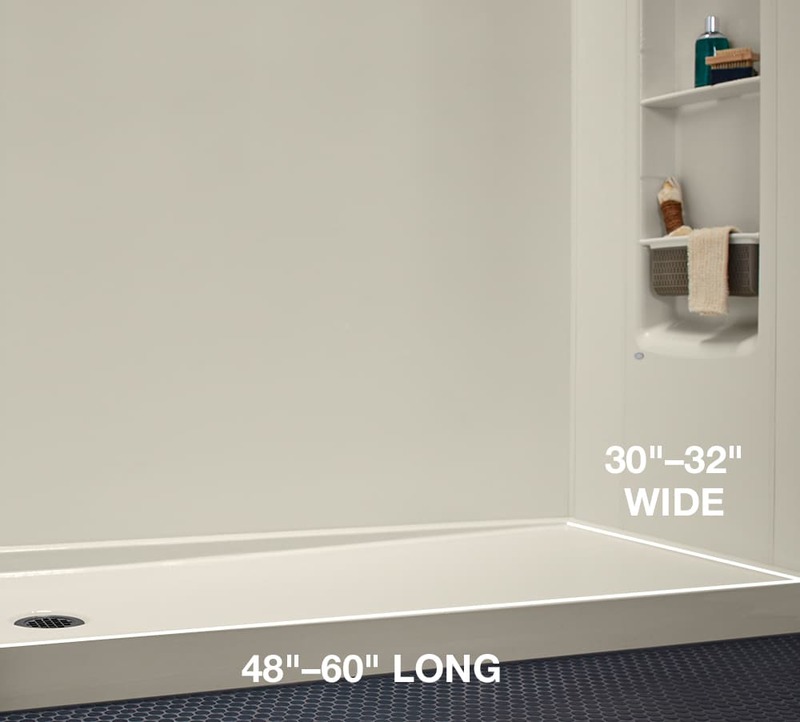 Submit your information, and a Kohler Shower Guru will contact you shortly. 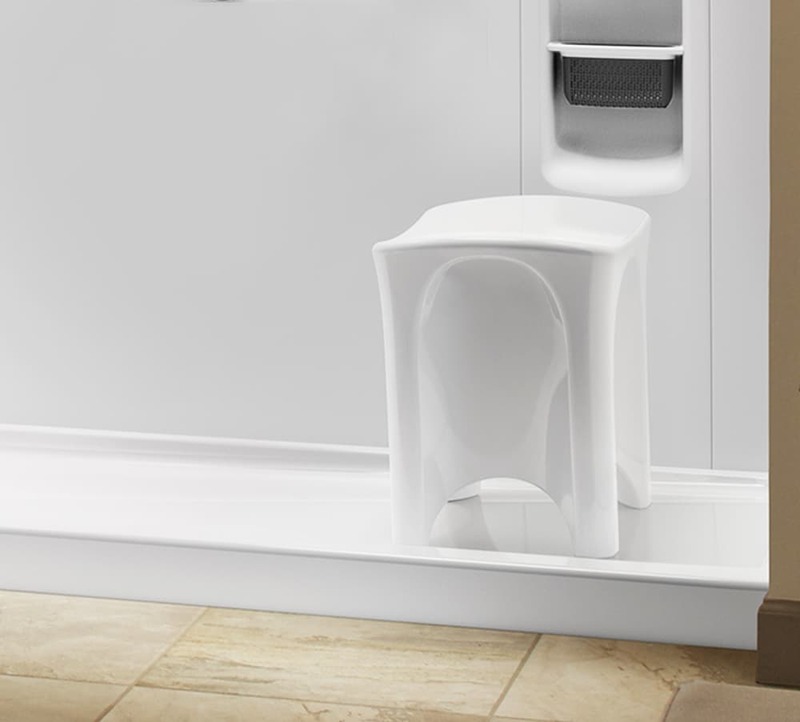 Get a FREE Touchless Soap Dispenser after your in-home quote. 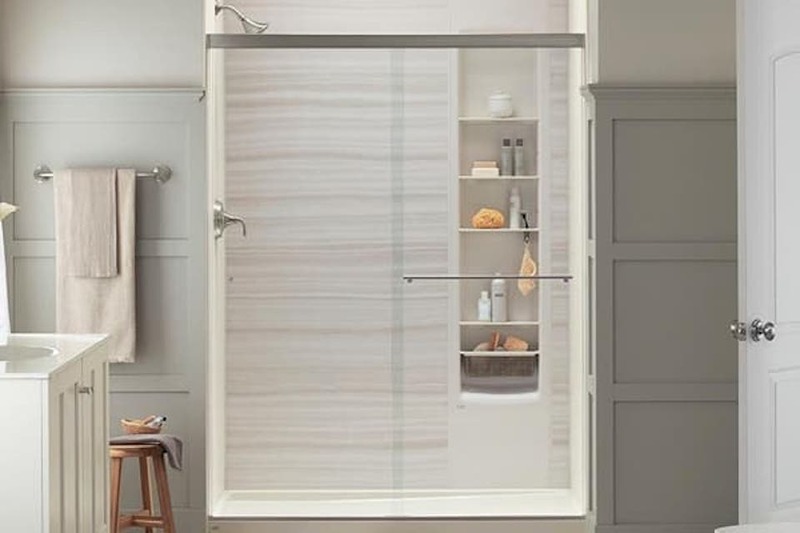 We just love our shower! The gentleman who put it in was very professional. 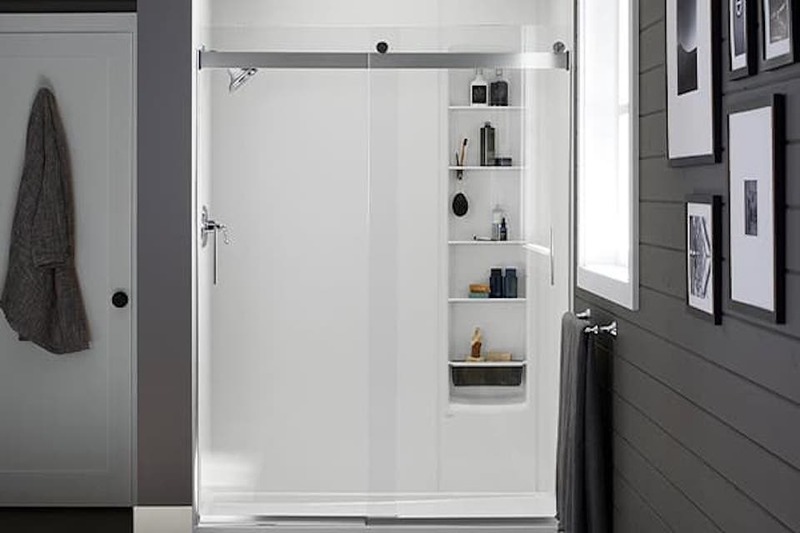 The shower is absolutely gorgeous! The guys were super nice and did a really nice job. I love it. 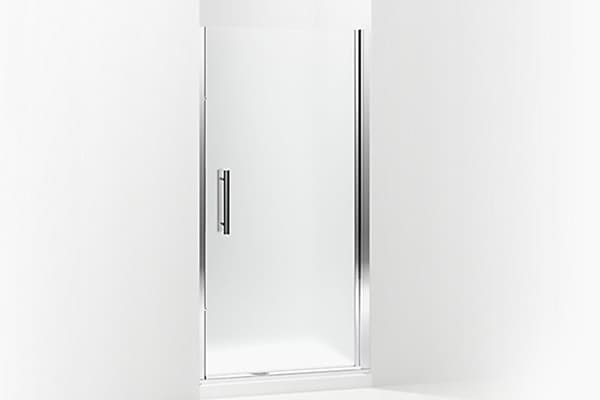 I love my new shower. It makes that time much, much, better for both of us. I am most satisfied with the fact that it's now safer for me and my husband. 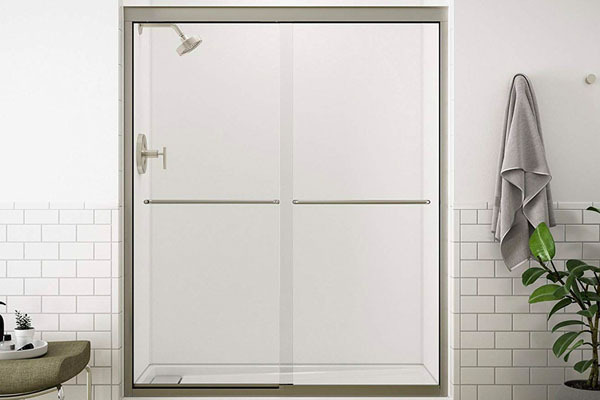 The shower itself has a wonderful variety of sprays that we are finding very therapeutic. 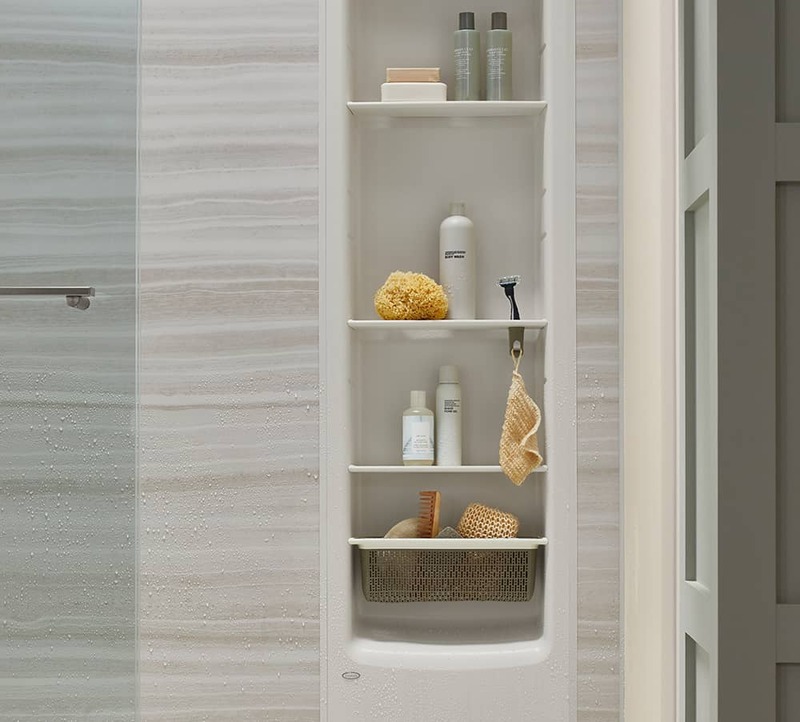 We are delighted that your products have left us with a much more visually appealing bathroom. 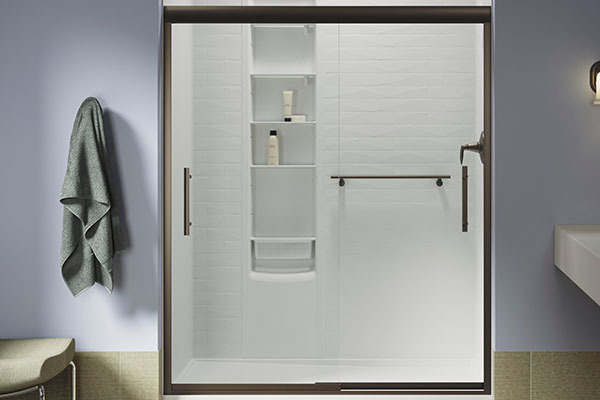 Learn why the KOHLER® LuxStone™ Shower has 98% rating among customers. 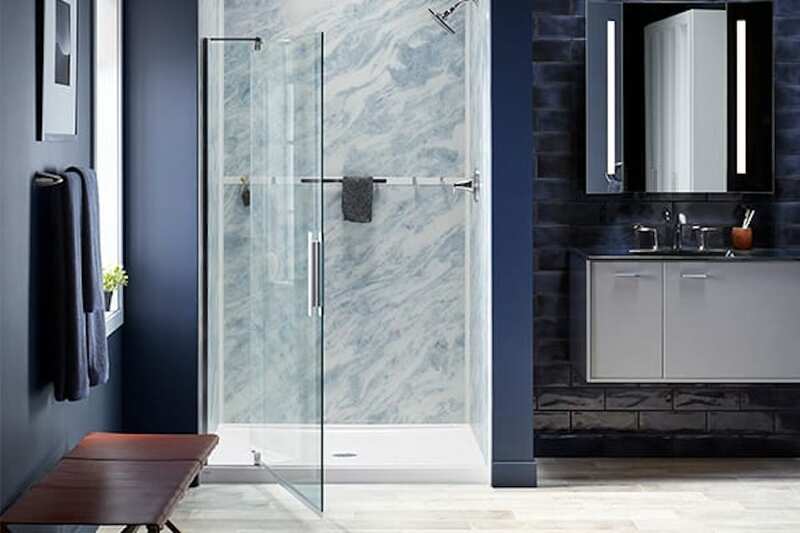 *By completing the email address and phone number fields within the contact form on this website, you are opting-in to receive email communication, phone calls and text/SMS communication from Kohler representatives (even if you are on the official "Do Not Call" list). If you do not wish to be contacted, you may unsubscribe from our emails or ask to be removed from our contact lists at any time.